Apr 08, 2016 Omega XL has hundreds of thousands of satisfied customer who continue to purchase our product monthly. There are thousands of testimonials to both our product quality and our customer service. Like other nutritional supplements, Omega XL requires time to be effective. We recommend taking it for 6 to 12 weeks, and we offer a 90 day money back guarantee to cover that amount of time. 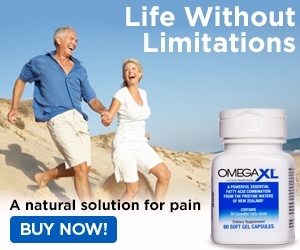 I am a omega XML customer I was told that it was a very good product by the customer rep I been on it for 2 weeks and have joint discomfort and back pains i`ve been taking 8 pills a day that is 112 pills at 300mg in each pill total of 33,600 mg in my system with no results I wonder how much money each person got paid to boost up the product they are selling I think it is an over rated fish oil pill I think that this product is a big scam and Larry king is putting his name on this product and it is making him look foolish, he is reaping people off that was the only reason I purchased the product omega Xl cause he stands behind this product he is reaping off the consumers and making him self richer very dissatisfied customer if any body is reading this message please respond to message I am a real customer of this product of omega Xl sincerely yours dissatisfied customer thanks for reading this real testimonial !!!!!!!!!!!!!!!!!!!! Review #488262 is a subjective opinion of User488262. Those so called "celebrities" get PAID to sell you a product. They dont' actually take it. Thank you for your review. I'm on disability and can't afford to waste money! I was just about to get it because Larry King endorsed it. I take fish oil and have many issues, my inflammation markers are always high. If you took that much and had no relief it obviously doesn't work. What ifs the condition that you were trying to treat with it?